You spent countless hours planting, prepping and scouting for that one opportunity. 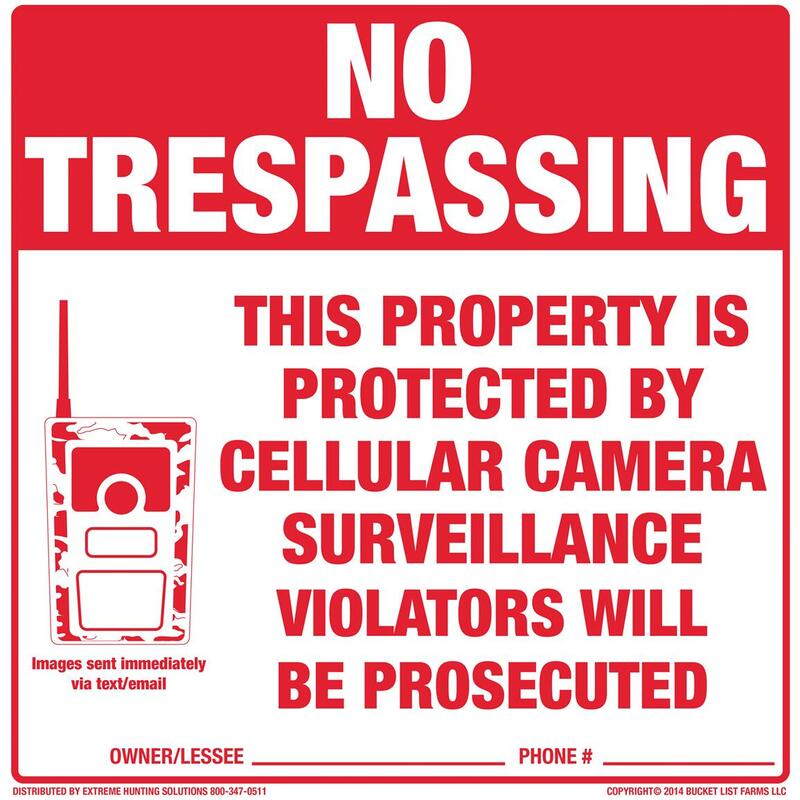 Whether you put out cameras or not, put doubt in the mind of thieves and help protect your property from trespassers. Signs read "No Trespassing. 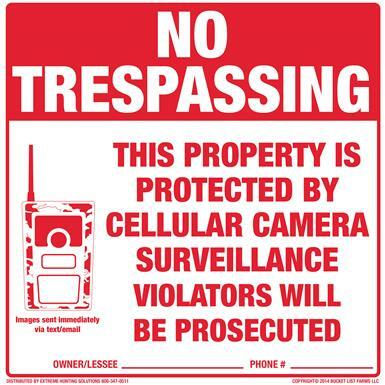 This Property is protected by cellular camera surveillance. Violators will be prosecuted." In case you're facing down Mr. Grizzly.